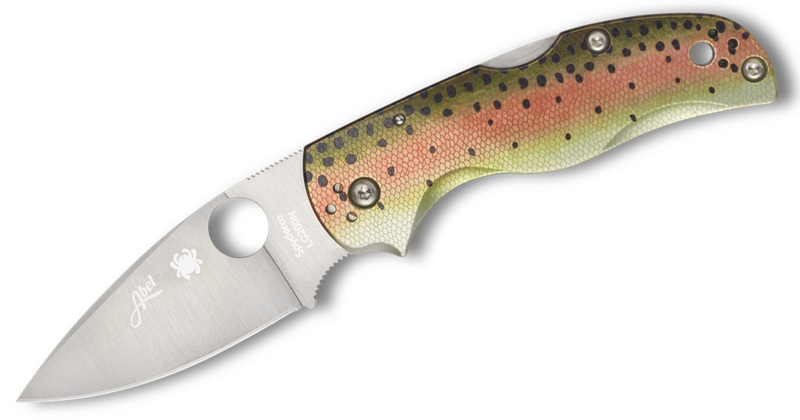 When Spyderco released its 2019 catalog a few months ago, it was somewhat shocking. The catalog did not feature any new knives. Why? 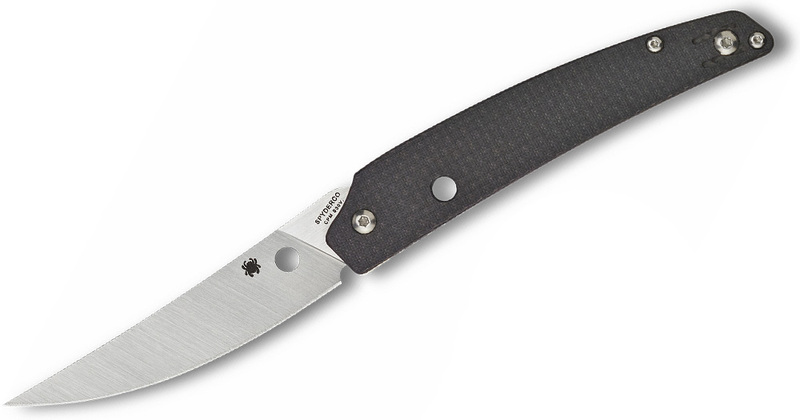 Spyderco announced it was moving to a different reveal process that would better match the release times of the models. I’m still waiting for that Smock revealed at the beginning of 2018! 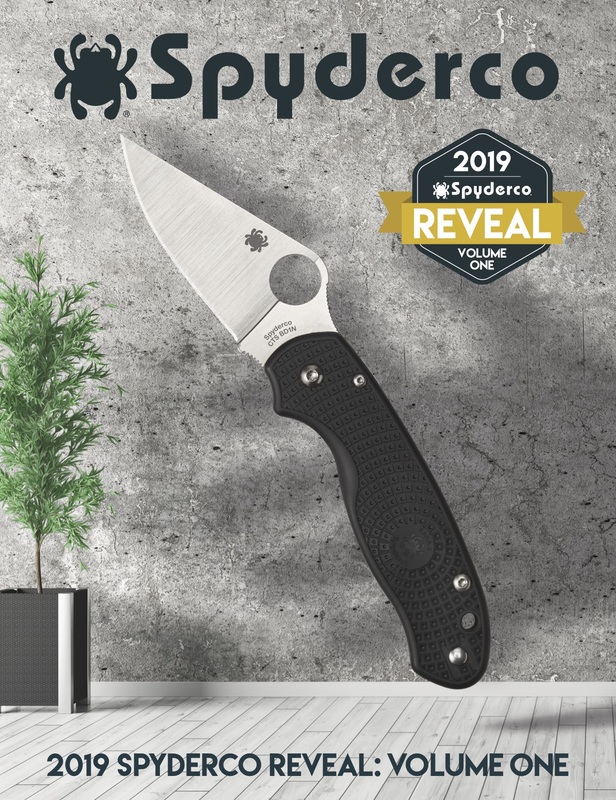 We weren’t sure how it was going to happen, but Spyderco recently announced the first of several “reveal” supplements that have new knives we can expect to see within the next 90 to 120 days, according to Kristi Hunter of Spyderco. This allows us to focus on a few noteworthy models that we can see in the near future instead of wondering for more than a year about a model and forgetting about it. Only a handful have been released so far, but here’s a deeper dive into the new models from Spyderco. The highlight of the first reveal is an adaptation of an existing model. That sounds kind of boring until you see just what they did to the Para 3. 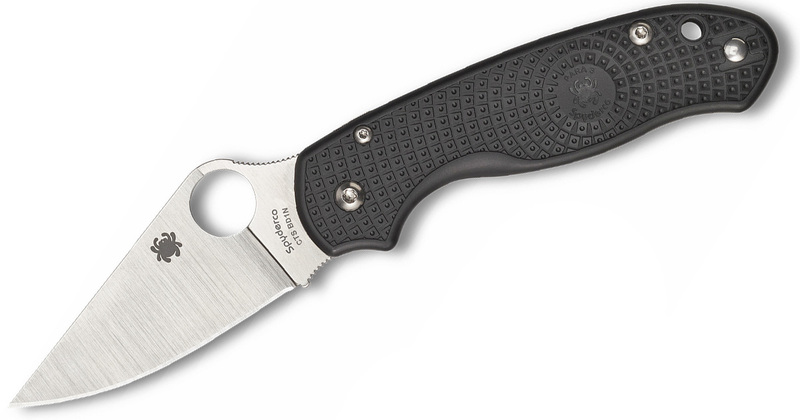 They turned a condensed version of the iconic Paramilitary 2 into a virtual Delica killer. With its cheaper price tag and FRN handles, the Delica has long been a fan favorite and nearly perfect EDC. The Para 3 LW addresses what was wrong with the original Para 3 and Delica to create an amazing knife. It uses FRN handle scales and open backed construction to cut the weight down to a smooth 2.4 ounces (an ounce less than the Delica). 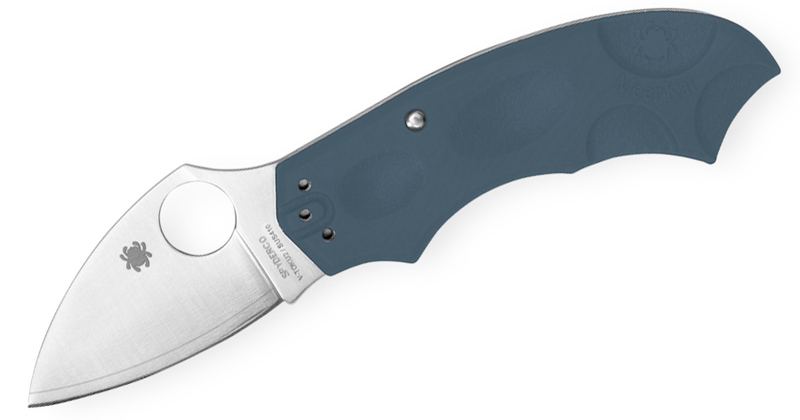 The pocket clip is a complaint on both the Para 3 and the Delica, and Spyderco corrects both by giving the LW a wire clip that’s essentially a deep carry clip (and moves that awkwardly placed Para 3 lanyard hole to a different location). Then there is the Compression Lock. The Delica has a tried and true backlock that’s not the best for one-handed operation, so this is a definite upgrade over that. The only question mark is the CTS BD1N steel. It’s obviously no S30V steel, but it is comparable to VG-10. I think this will be a huge hit. 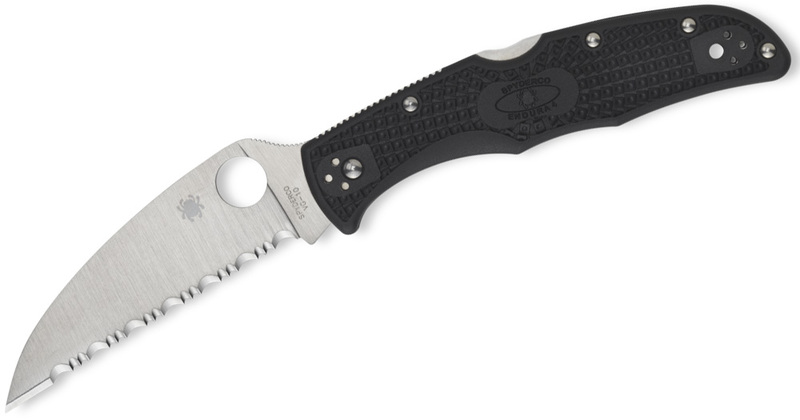 Spyderco is returning to what put the brand on the map — sharpeners. The new Gauntlet is a simplified version of the Triangle Sharpmaker. It works in the same way but only allows for a 40 degree angle. The sharpener comes with ceramic rods or you can buy Cubic Boron Nitride rods. It looks to be aimed at novices. 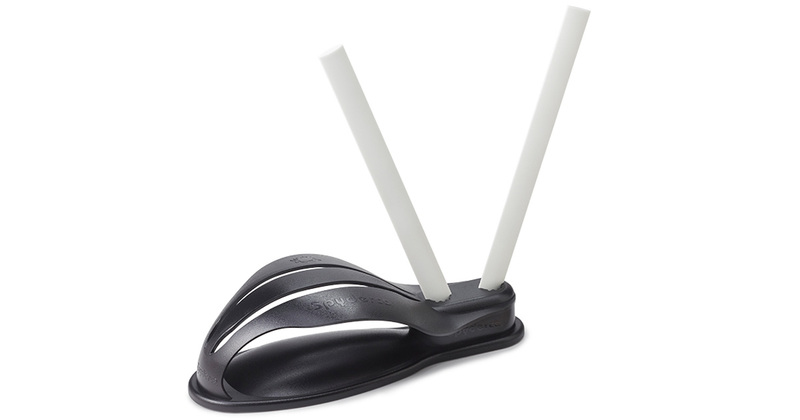 The select version with fine ceramic rods is the base model. The Delica Wharncliffe proved to be popular enough to warrant a Wharncliffe version on its bigger brother. This variation will come in either a plain edge or SpyderEdge. It’s nothing special but fans of larger knives who like Wharncliffes will be excited. A knife from the budget line also gets a tactical upgrade with an all-black iteration. The Efficient has earned a place as one of the best value folders from the company, maybe even rivaling the Tenacious line. This version has a black blade and black G-10 scales. The Ikuchi is the only actual new knife from this reveal. It seems like a bizarre design from Paul Alexander (who has a Ph.D. in Mechanical Engineering). It’s a long and narrow knife with an interesting flipper that does not protrude. The tab is almost like a wheel that can flip open like a lighter. The blade is 3.26 inches of S30V steel, the handle is carbon fiber/G-10, and the lock is a Compression Lock. I really love these new flipper designs that eschew the tabs. 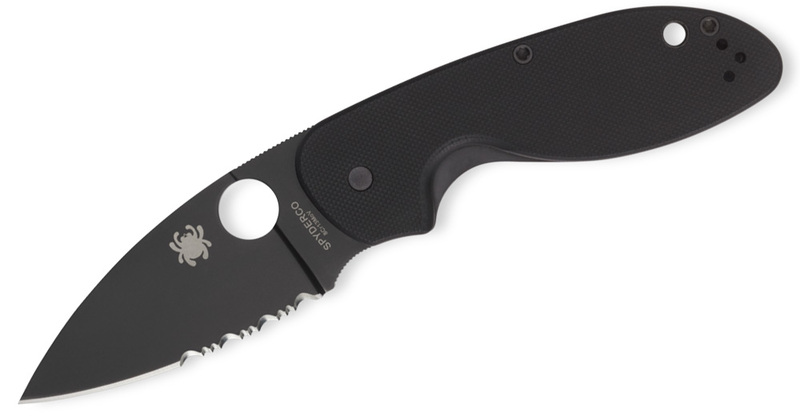 The Meerkat is a tiny knife from Spyderco that’s initially not spectacular, except for the locking mechanism. It is the only knife with the Phantom Lock, which is completely hidden within the handle and only releases when the scales on pushed in opposite directions. This was available in a sprint run in 2017 as well. This one has a V-Toku2 laminated blade and blue-gray scales. Then, there are three Native 5 exclusive knives for Abel Reels. I honestly don’t understand these knives. Each is modeled after a different fish — the brown trout, the rainbow trout, and bonefish. The designs are kind of cool, but they will set you back $495. Yes, $495! And even though that’s MSRP, it looks like Abel Reels will be selling them at MSRP. I smell something fishy.